It that time again... the August Papertrey Ink release has begun! 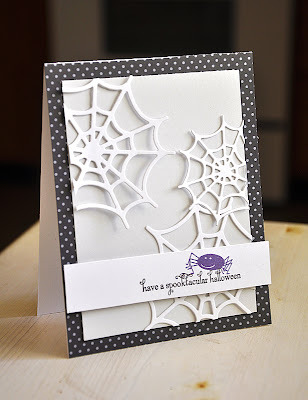 And I'm happy to introduce to you my latest die design... Spider Web Trio. 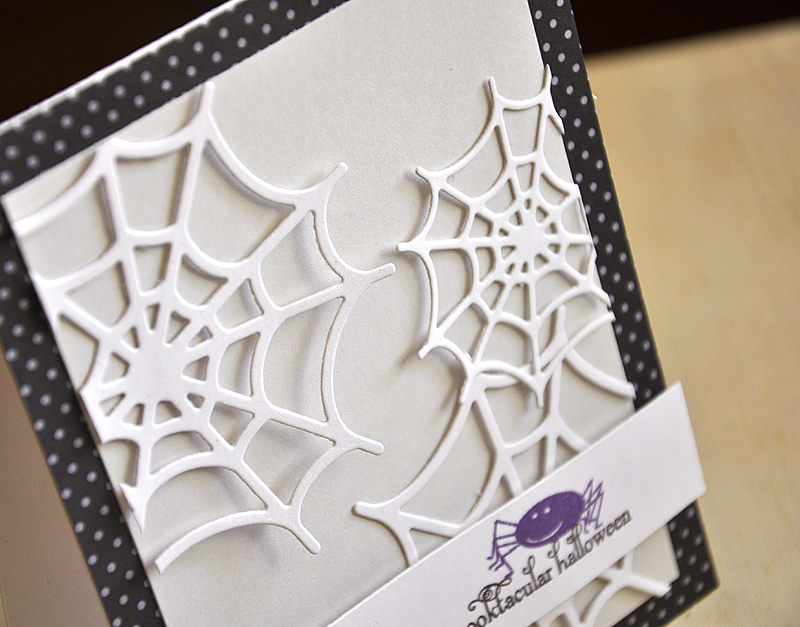 This trio contains detailed spider web dies that can be cut out of all sorts of interesting materials. All are sized to work well on your cards and paper projects. As a bonus... the largest die in the collection is big enough for all sorts of unique and festive home decor projects (like felt coasters for the coffee table, vinyl clings for the windows, banners, etc. ), gift wrapping and more. They can even be paired up with the spider from Spooky Sweets II, Tiny Treats: Halloween or other spiders throughout the Papertrey collection. 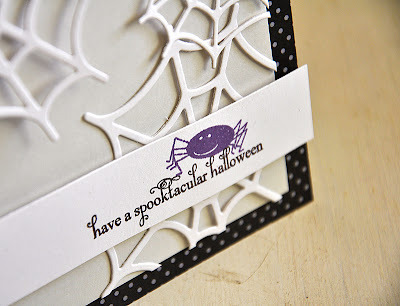 Finished the card off with a spidery sentiment strip, both from the Been Boo'd stamp set. Now, be sure to visit Nichole Heady and Besty Veldman for peeks at Heart-2-Heart #7, Counting My Blessings stamps & dies, Ashley Cannon Newell for Sunflower Bouquet. Also, Dawn McVey & Melissa Bickford have peeks to share with you of their newest sets for the month. These dies look so fun, Maile! Very cute card! adorable! love the white on white that makes the cute spider pop! This is the best surprise of the day! I love spider webs - especially when they glitter like diamonds in the morning dew! Great addition to the PTI die collection! 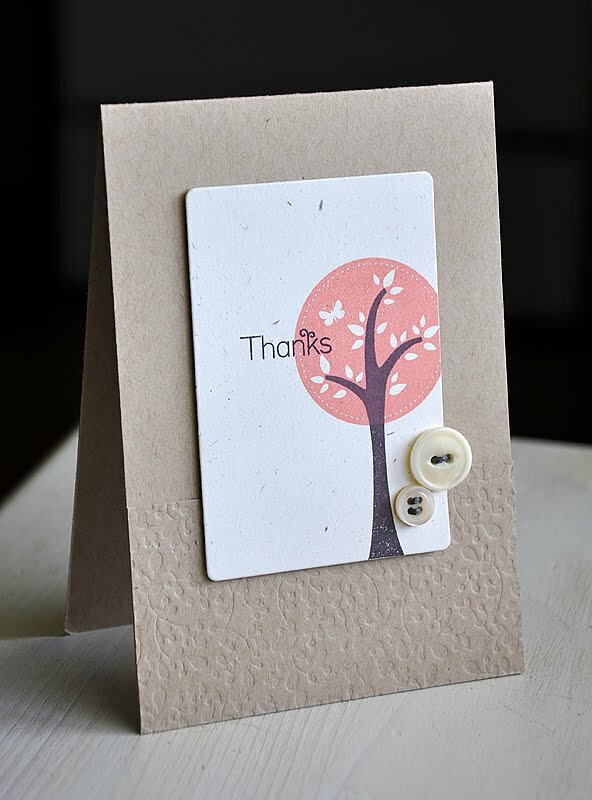 Love your cards - they always inspire! Love these little webs....what fun!! Super sweet! It's funny that most spider webs would be this color, but we never use them that way! I love your white on white! 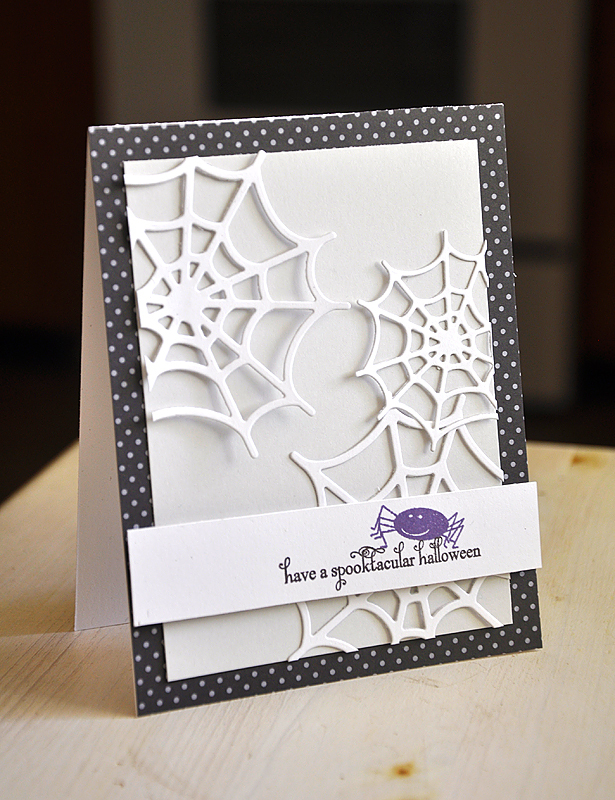 It's a very fun take on spider webs and so nice with the dotty background and purple spider!!! TFS! Studio Calico - Central High Card Kit Revealed!